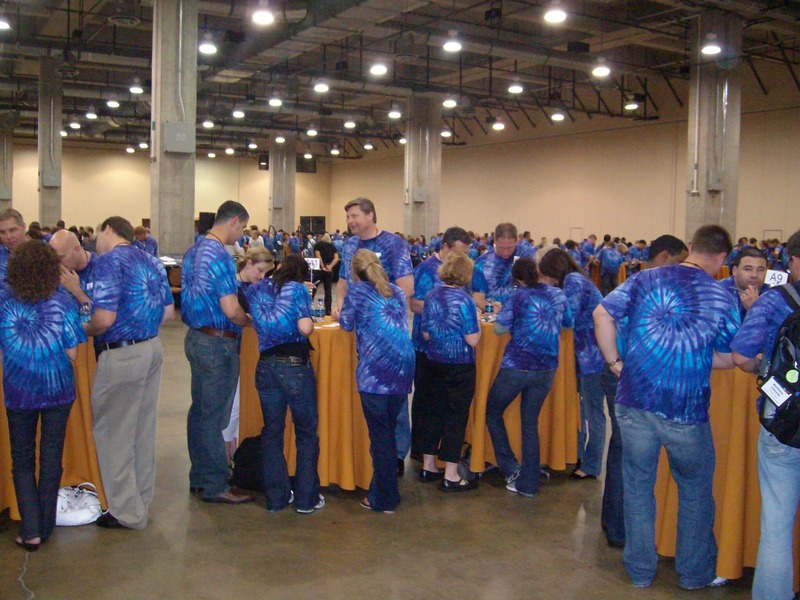 Want to add some energy to your next meeting or company function? 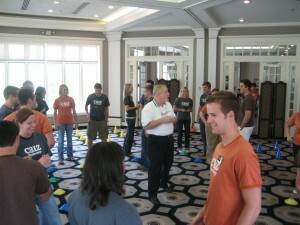 Sometimes, a good icebreaker activity or fun team building game can be just the trick. 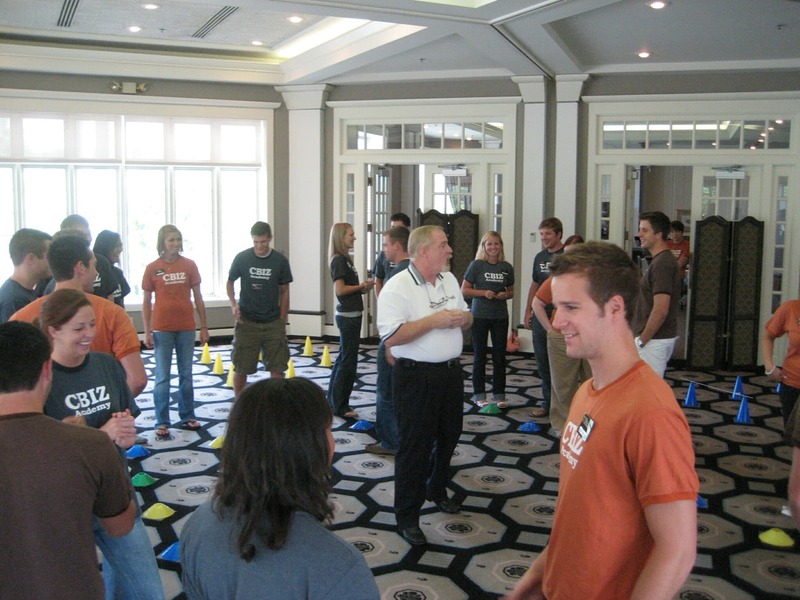 Below are a few of our favorite games and activities, and you can use them as an opening to your meeting a way to jazz up the group in between speakers. 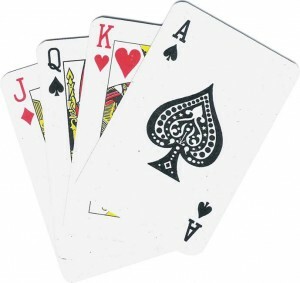 Team Building Poker: Just distribute playing cards out individuals and then ask them to make the best seven card stud hand. Don’t worry if many of your group members have no experience with poker or card games, because eventually, a team will need the card that each person is holding, and they will be recruited into a group. To setup the card so that you get an equal number of people on each team, divide the number of people in the entire group by seven and round up. For instance, if you have 30 people, 30 divided by seven is 4.28, so you’ll round that number up to five. Add royal flush sets for this many groups (in this case five groups). So, you’ll create a suited 10, Jack, Queen, King, and Ace for each team. Then add a nine of the same suits until you get to the total number of people in the whole group. In this case, you’ll add five nines to the stack of cards, because the original Royal Flush cards (five groups of five cards) will total 25 cards, and you have 30 people, you’ll need five additional cards so that every person receives a card. If you have additional people, add eights as well. A Numbers Game: This is a simple but effective game to divide up a big group (the bigger the group, the more fun and challenging this activity is). Setup is simple. Just divide the number of people in your group by the number of teams that you want to create and then create a group of numbers for each team and a table for each group to organize around. For instance, if you have 100 people, and you want 20 teams, you’ll have 20 tables, and you’ll create five separate number 1’s, five separate number 2’s, etc. until you have all twenty sets of numbers. 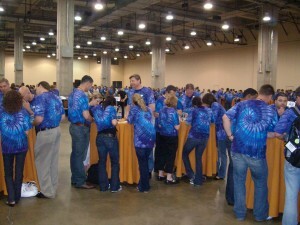 Then just distribute a number to each person and ask them to group themselves by their numbers. The trick is to make sure that you don’t put the tables in numerical order. The more random the order and the more groups that you have, the more challenging the activity becomes. By the way, you don’t necessarily have to use numbers. You can use colors or any type of category to divide up the group. Barnyard Blitz: I have to admit that I was really resistant to this one until I actually saw it work, but it can be really funny. Similar to the the numbers game, each person will receive a card, but each card will have a specific barnyard animal on it like pig, rooster, goat, etc. Give the instructions for the group to divide themselves into teams based on the item on their card, but they have to do so without talking to each other and without showing anyone their card. Of course, the individuals will begin to make sounds and actions to describe their animal, and there will be lots of laughter throughout the room. 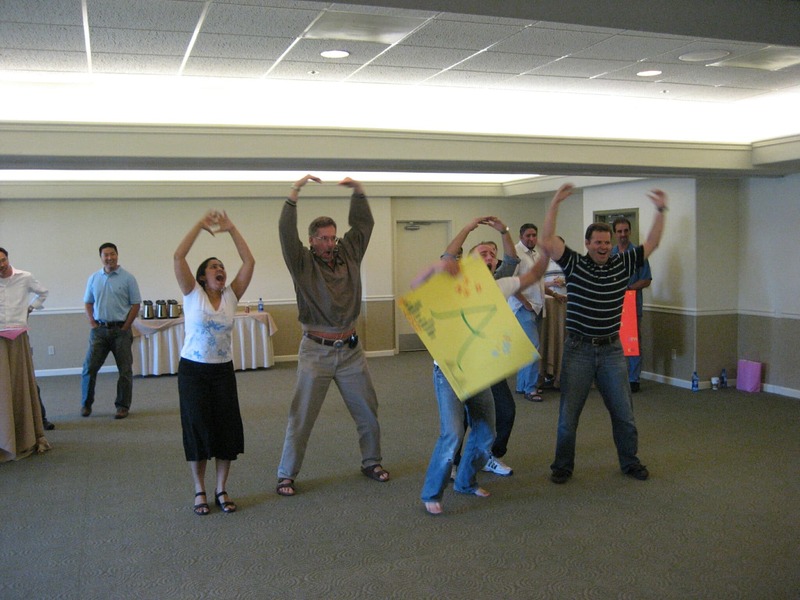 Within just a few minutes, your group will lose all inhibition and begin to do crazy things to attract the attention of their team members. In fact, the less responsive the other team members are, the more aggressive and outgoing to individuals will become. This one is very funny! Column Like You See ‘Em: Tie a series of ropes to a circular, elastic form like an inner-tube or you can also use the elastic workout bands that you have formed into a circle. Space the ropes equidistant apart with the number of ropes equal to the number of people on a team. So, if you have five people on a team, attach five ropes. Ask the teams to stock boxes using only the elastic bands. Teams will need to stretch the band using their ropes to make it big enough to fit over each box, and then slacken up on the ropes to grip the box. Then, the team must work together to stack each box without knocking over previously stacked boxes. You can number the boxes and ask the teams to stack the boxes in numerical order or stack the boxes by size. 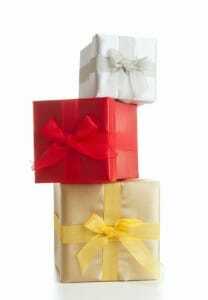 If you add some weight to each box, you can make moving them more difficult. To make the challenge more difficult, move all of the boxes into one general area and have each team stack their own boxes at the same time others teams are also stacking. Other groups will often try to sabotage each other if the other groups begin to get ahead. Offers good debrief material to what happens in the real world. Cheer Contest: A cheer contest is a great way to get the energy up in a room, because the contest uses positive peer pressure to get individuals to really cut loose and have some fun. After the group is divided into smaller groups, have each of them elect a team captain, come up with a team name, design a team flag, and also create a team cheer. Give them a 15 minute time limit and bunch of arts and craft to create their flag and let them go. At the end of the time limit, each group will take turns delivering their cheer. Choose a few finalists and have a “cheer-off”. Let the finalists each do their cheer one more time for the entire group and let the audience decide by applause who the winner is. When most people organizing a meeting come across an activity like this one, their automatic reaction is to think, “Oh, our group is so introverted or conservative that they’d never go for something like this.” That is a big mistake, because the group will actually use positive peer pressure to ramp up each consecutive cheer, because each group wants to outdo the previous groups. The energy builds and builds throughout the activity. Have You Ever? : Start by putting place markers of some kind on the ground arranged in a circle or square. Have on fewer place markers than you have people, so if you have 30 people, use 29 place markers. Have everyone start at a different place holder with the extra person in the center of the group asking the first question starting with, “Have you ever…?” The question can be anything that a lot of people in the group will have in common such as, “Have you ever been to the beach?” or “Have you ever gotten a speeding ticket?” When the people stationed at the place markers answer “yes” to the question, they must rush around the outside of the shape until they complete one full rotation, and then they can stand next to any place marker that doesn’t already have someone standing next to it. After every rotation, one person will be without a place holder, and that person will come to the center and ask the next question. This is a great exercise to let participants get to know each other a little better, because with every new rotation, they learn a little more about the experiences of their coworkers and what they have in common with each other. We’ll add new games to this list every few months, so make sure and check back over and over for an updated list. 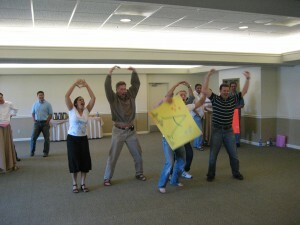 Regardless of which game you choose, make sure and have some fun at your next meeting!